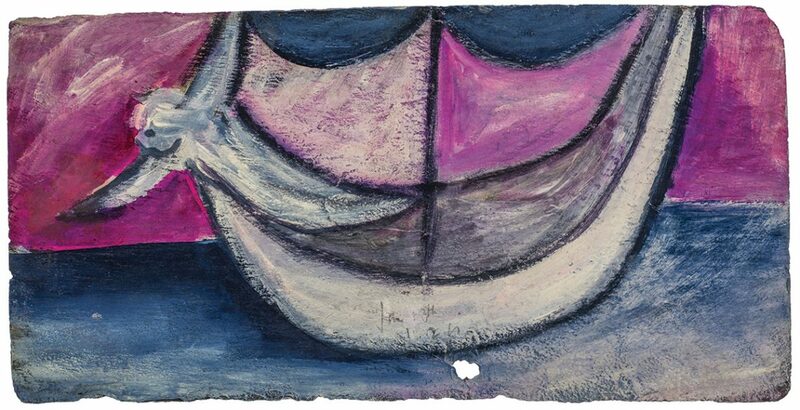 Sidney Nolan, (Figure and boat), 13 January 1942, oil and ink on slate, 25.6 x 51.4 cm. Collection of The University of Queensland. Purchased with the assistance of the Alumni Association and the Peter Stuyvesant Cultural Foundation, 1977. © The University of Queensland.. Photo: Carl Warner. Sidney Nolan, (Figures and flames), 20 January 1942, oil, enamel and ink on slate, 25.8 x 45.8 cm. Collection of The University of Queensland. Purchased with the assistance of the Alumni Association and the Peter Stuyvesant Cultural Foundation, 1977. © The University of Queensland. Photo: Carl Warner. 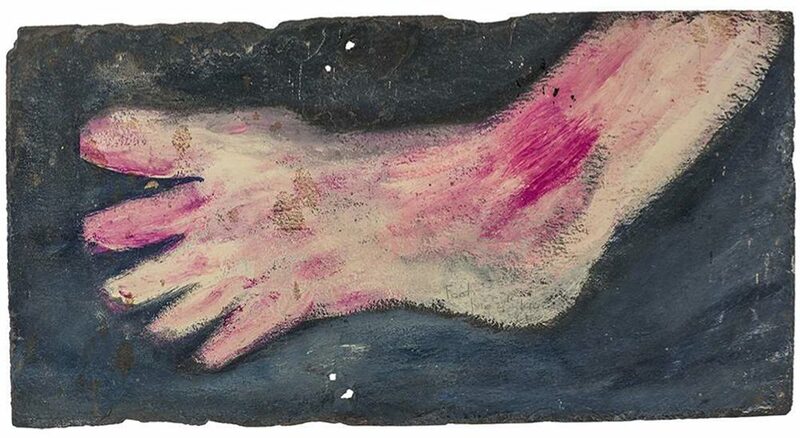 Sidney Nolan, Foot, 27 June 1942, oil, enamel and ink on slate, 26.7 x 51.7 cm. Collection of The University of Queensland. Purchased with the assistance of the Alumni Association and the Peter Stuyvesant Cultural Foundation, 1977. © The University of Queensland.. Photo: Carl Warner. 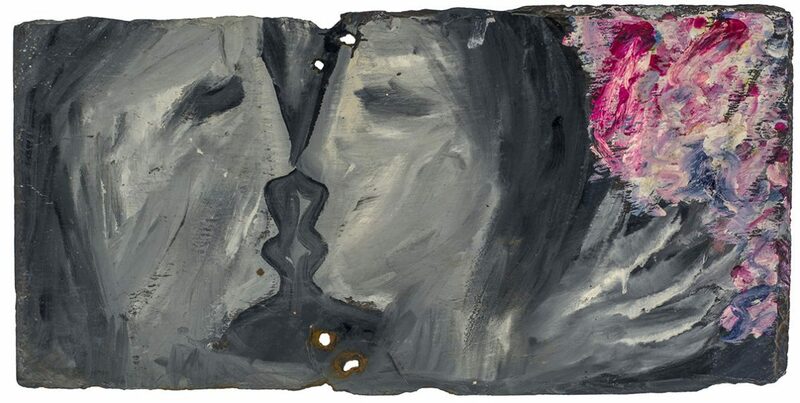 The Nolan slates are rapidly executed small paintings on irregularly-shaped broken tiles, salvaged from a building site close to Sidney Nolan’s Melbourne studio in the early 1940s. They have extraordinary power, especially for such small works. Created over a seven month period, from the end of 1941 to mid 1942, a time of personal cataclysm for Nolan and global unrest, they don’t shy away from the passions that inspired them. The exhibition, We who love: The Nolan slates, presented these lyrical paintings which share a personal yet universal love story that still appeared fresh, some seventy years after they were made. This makes the essays in the accompanying book by curator Chris McAuliffe and Nolan biographer Nancy Underhill compelling reading. 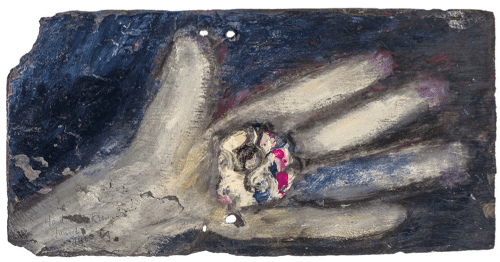 Sidney Nolan, Hand and flower, 27 January 1942, oil, enamel and ink on slate, 25.7 x 51.3 cm. Collection of The University of Queensland. Purchased with the assistance of the Alumni Association and the Peter Stuyvesant Cultural Foundation, 1977. © The University of Queensland. Photo: Carl Warner. 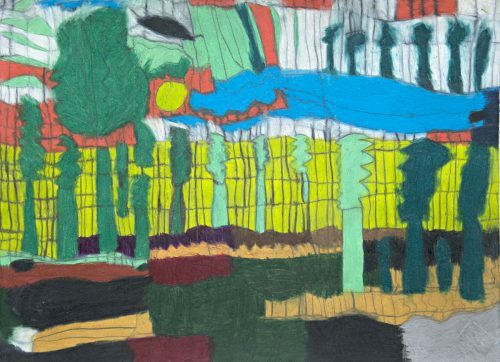 I first spent time with these paintings as a fine arts student in the 1980s, employed for a few years part-time to assist with the Art Museum collection. I remember carefully taking them out of their tissue and gazing at the lover’s faces in (Two heads), 29 January 1942, so simply sketched with primitivist power. The (Figure and boat), 13 January 1942,with the figure leaning arms outstretched like an angel ready to take flight, was painted on the back of (Tree and bird) [December] 1941, in which hot pink paint was used in droplets like blood that, at the same time, enlivened the bird’s fragile body. To see them again, in their entirety as a series, with facsimiles to represent both sides where they are painted on the reverse, in context with other slates from this period, related paintings from the Heide Museum of Modern Art, and photographs and letters from the time, made this exhibition an extraordinary experience. The slates were acquired by the UQ Art Museum in 1977, when Underhill was director. 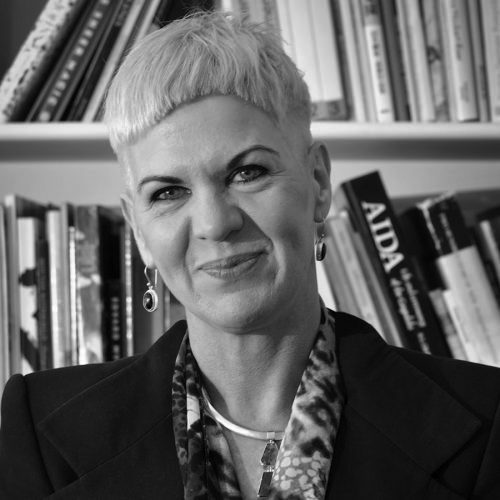 The tale represents a visionary leap of faith on her part, and luck was on her side when Nolan stepped down from his original price in his haste to sell them after they were exhibited at Brisbane’s Institute of Modern Art. As the book relates, these paintings were made during the passionate love affair Nolan had with Sunday Reed. Other factors in Nolan’s life at the time were the birth of his daughter Amelia (with wife Elizabeth) in late 1941, his marital breakdown shortly after (due to pressure from the Heide hothouse), and the attack on Pearl Harbour. The slates expressed the conflicted emotional loyalties and intensity of this period of his life. Nolan’s influences were literature, philosophy, modernism, and strategic intent mixed with personal emotion predicated around love, wounding, hurt, comfort and pain. Images included women, lovers, flowers, angels, snakes, hands, feet, boats and the life journey, with pared back line, colour and symbolism. The confines of the irregular shaped tiles, with their dark surfaces, required an application of paint that assists their linearity. As McAuliffe notes, “they are an immediate record of his efforts at becoming modern”. In general, the photos surrounding the process of filmmaking are not thought of as art objects or as portraiture. Yet Starstruck: Australian Movie Portraits, presented by the National Portrait Gallery and National Film and Sound Archive of Australia, displays these photographs precisely as portraiture. 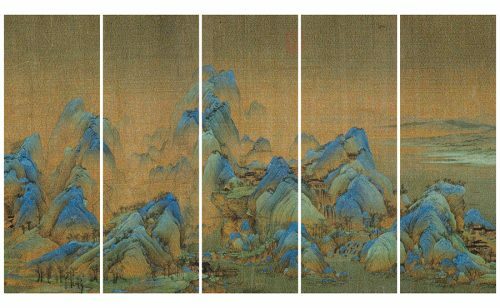 For former solder and dissenter Guo Jian, rubbish-choked rivers bear witness to both the environmental and cultural damage of consumerism.